Sayulita Childcare’s Georgia Glennon offers babysitting services in Sayulita that are fully customizable. 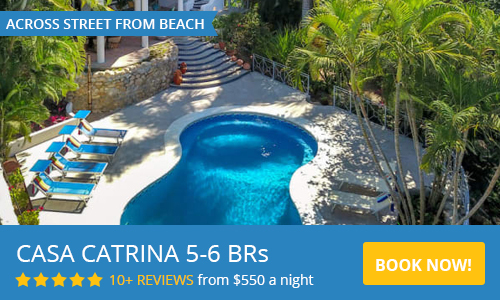 Treat yourself and your spouse to a carefree afternoon of shopping and or perhaps a massage, or a romantic night on the town, with the ease of mind that your children are in great hands and having a fabulous time of their own while on vacation in Sayulita! Accommodating your family’s Sayulita babysitting needs is Georgia’s objective; and she is more than happy to come right to your vacation rental villa, or take your children to the beach for surf lessons or horseback riding. For families traveling together, Georgia can aptly entertain and monitor all younger ones, so that adults can get out on their own. She is also CPR certified and equally as experienced with infants or toddlers as with older children. Sayulita Childcare is also available to provide the childcare for weddings or larger group gatherings. Services can also be provided in Punta Mita, San Pancho and Bucerias. Georgia grew up in Oregon, and then lived in New York City while working as a photographer and in the fashion industry. Desiring a change of scenery and a more relaxed lifestyle, she moved to Sayulita, where she quickly perceived a need and a niche for herself in quality childcare. She then quickly converted her own love for children into the complete Sayulita Childcare service. She comes with rave reviews and fantastic references (see the Reviews tab). Having cared for children in Sayulita for 9 years she has contributed to the all-around fantastic vacations of families visiting Sayulita. Sayulita Childcare is dedicated to providing reliable, professional child care for those vacationing in Sayulita. Georgia's goal is to make your vacation enjoyable, stress-free, and a trip you will always remember! Our family spent a week in Sayulita for spring break. We have always wanted childcare for our son for a few hours a day to give us a break. We never knew this would even be possible. I found Sayulita Childcare and Georgia months before we left. She was simply wonderful with our son Ian...who by the way, has Down Syndrome! He loved her and so did we. I know she is someone we will keep in touch with the rest of our lives. HIGHLY recommend her and her business for your child care needs! Georgia was so great with our 1.5 year old! Our normally chill and easy toddler hadn't slept and was over tired from traveling, which made me a tad guilty about leaving her with a new person, but Georgia was amazing and made it easy to leave for a few hours. No crying, no meltdowns and was able to feel super comfortable the whole evening! Would recommend her 100 times over. We hired Georgia to hang out at our rental house while we enjoyed a date night. Though our baby was sleeping the entire time Georgia was there, she was very personable & trustworthy. Seems like she's be great with kids. Would definitely hire again. She was a such a pleasure to spend the day with. She accompanied my 17 month old and I to the beach for an afternoon and it couldn’t have gone more smoothly. Thank you Mirel! Also, Georgia was easy to communiate with and got things organized swiftly. Great experience overall! We used Sayulita Childcare over Thanksgiving. We needed full care during the day for our toddler and also help at night. This service was great. Georgia was responsive and professional. Both babysitters spoke English and had a great amount of experience with children. We felt instantly comfortable with the babysitters and they were incredible with our toddler -- and with other kids when we had them take care of a group. We already have plans to use Sayulita Childcare on our next trip. We recently used Sayulita Childcare and were so extremely impressed with the level of professionalism we received. We are extremely hesitant trusting anyone with our 2 and 4 year old especially in a foreign country. When Georgia informed us she would not be taking care of our children personally I almost canceled. I spoke to my wife and we decided to meet Mirel in the center for a little interview and to see if we could trust her with our children. My wife is Peruvian and speaks fluent spanish so it was a very good meeting. Mirel is one of the kindest people we have ever met and truly cares for children and what she does. She knows the town very well and in an emergency would know how to contact someone much better than us. We utilized her twice during our trip and tried for a 3rd but she was busy:( If you have any doubt about childcare in Sayulita I would say this place will make sure you are comfortable and your children are taken care of. Georgia and her team are the best! This is the second time we used the services of Stine and the kids had a great time with her. Thank you Georgia for having such a wonderful service. We contacted Georgia and received very prompt and easy to follow emailed set-up details. We set up 2 nights for sitting with Stine (she rocks!) who arrived early, was really fantastic with our two boys (ages 6 and 9) and made the entire experience super easy. We had zero worries as we headed out for adult meals. It was easy to book! Sayulita Childcare is very responsive. Our sitters were amazing. They were excellent with the kids, easy to work with and super punctual.